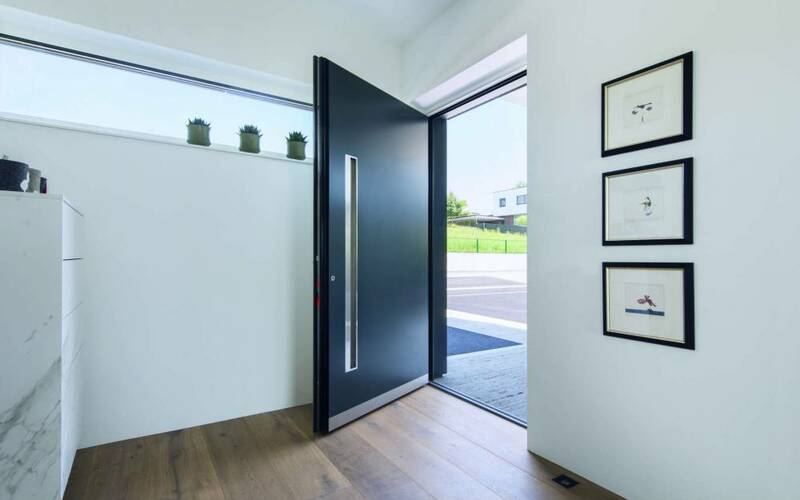 Our Internorm entrance doors range is available in four different design styles; Ambiente, Homepure, Homesoft and Studio. 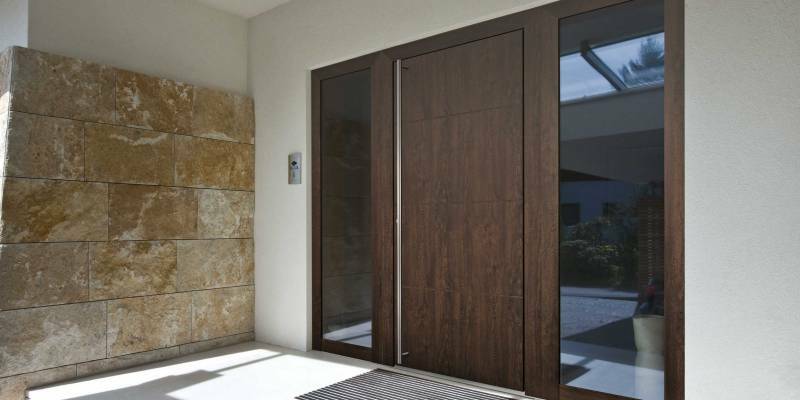 The doors systems are available in five aluminium and two timber-aluminium options with countless model choices. 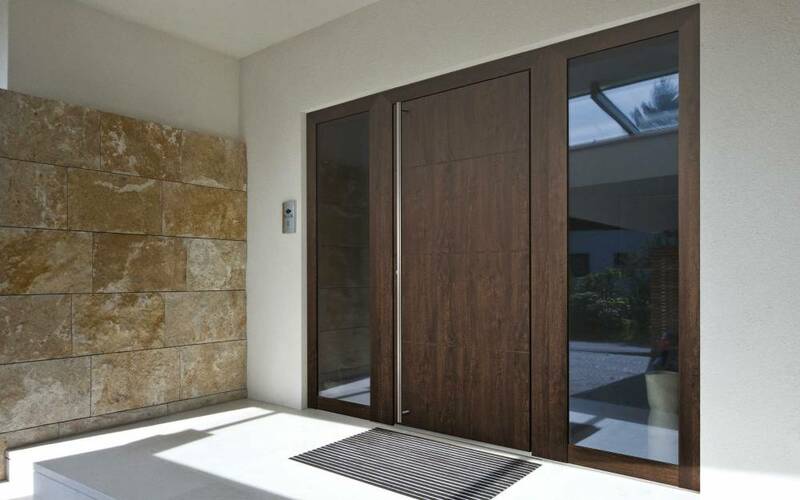 Each Internorm entrance door is custom-made in Austria, allowing you to customise your entrance door. Whether you choose a full door leaf or a door with glass cut-out and then select the desired side elements, fanlights, handles, colours etc. the choices are only limited by your imagination. 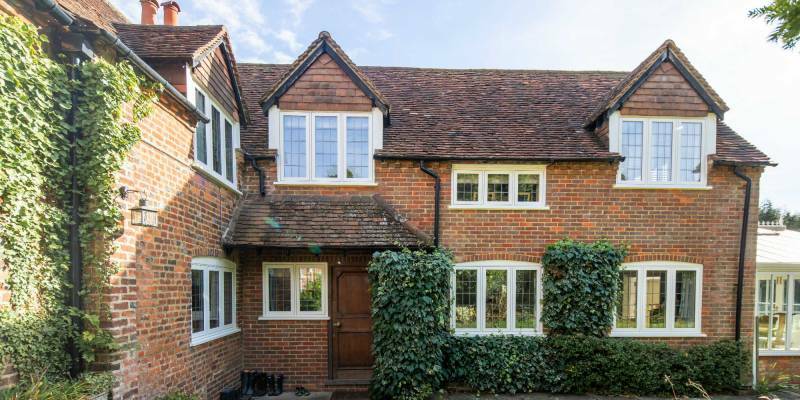 Our design styles allow you to match your entrance door with your Internorm windows. Internorm UK is a high-end Austrian windows and doors manufacturer that produces and ships around 5,500 products worldwide every day. They place great emphasis on high-quality processing and fitting of proven security locking systems. Our doors are not the classic security doors which you would use for a safe in a bank, yet our burglary-proof doors are tested up to RC2 and therefore ensure excellent burglary protection. Internorm aluminium entrance doors offer you perfect burglary protection in attractive design. Standard 5-point locking from renowned manufacturer KFV renders these entrance doors burglary-proof. Countless door models are available. Colours, Handles and Glazing options can be designed exactly according to your ideas. The inside of the door features a multi-layer plate setup which ensures best thermal insulation and high sound protection. Of course, aluminium Internorm entrance doors can be equipped with finger scanner, keypad (code keyboard) or further security systems. 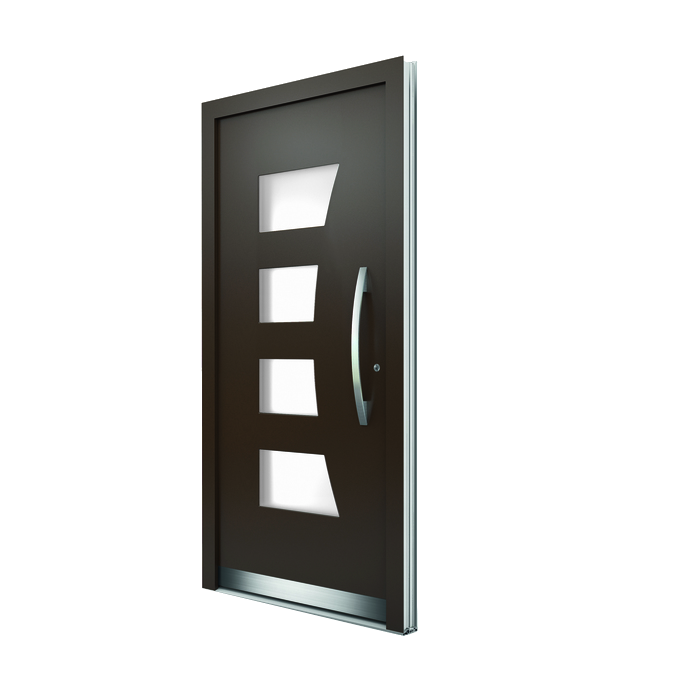 Internorm front doors feature sturdy locking and offers RC2 level security to keep you family safe. Through their multi-chamber frame and insulation, they also help keep the cold out and reduce sound by as much as 36 decibels. Additionally, should you wish to opt for keyless entry, Internorm also provide finger print recognition to save you carrying your keys. Contact us using the make an enquiry button and we will be in touch shortly or call 01295 270938 to speak with a member of our team. 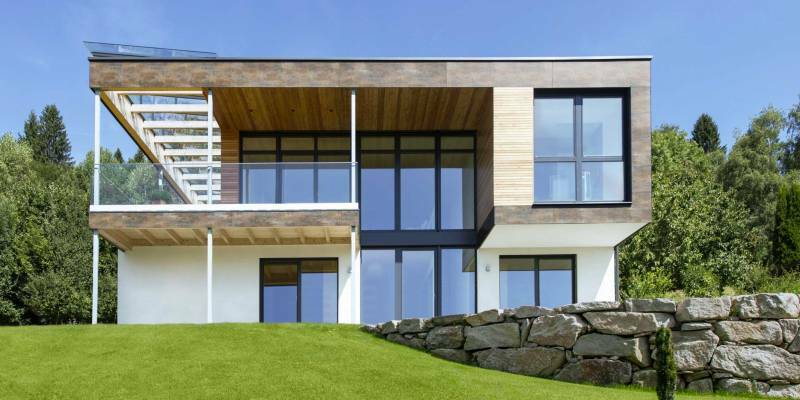 The doors in a passive house plays a prominent role in two ways – firstly, the heat loss despite large glass surfaces can be reduced and secondly, windows increase the possibility for heat gain through solar energy. 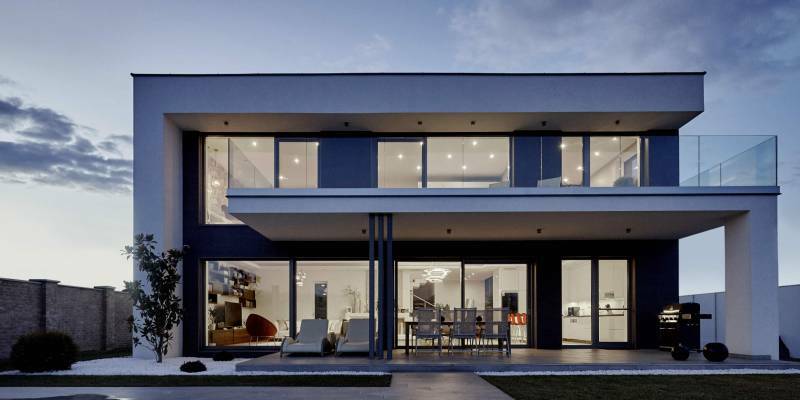 Internorm‘s highly thermally insulated windows do this exceptionally well: thermal insulation glazing as used in passive houses achieves Ug values of up to 0.4 W/m2K. In-frame ventilation systems providing you with a climate controlled system whatever the weather. From concept to manufacturing, Internorm doors are crafted solely at the company’s Austrian headquarters. 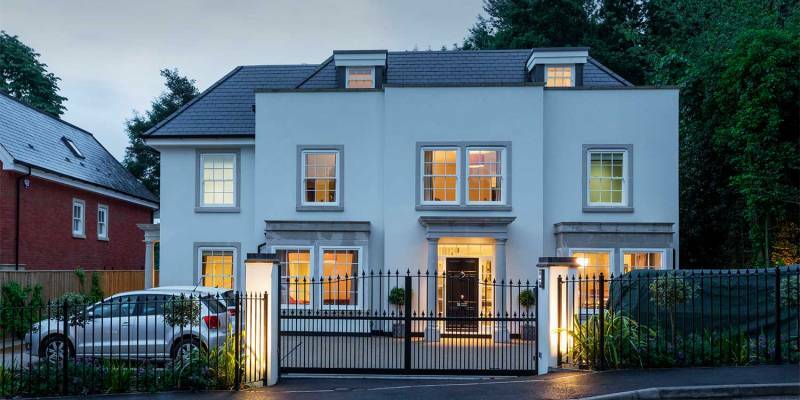 Their 1,800 strong team bring their expertise together to offer some of the most beautifully designed, highly insulated and incredibly secure doors available on today’s market.